Waitress is "Opening Up" in London! Waitress gives London a piece of the pie! Flavoured: West End transfer! 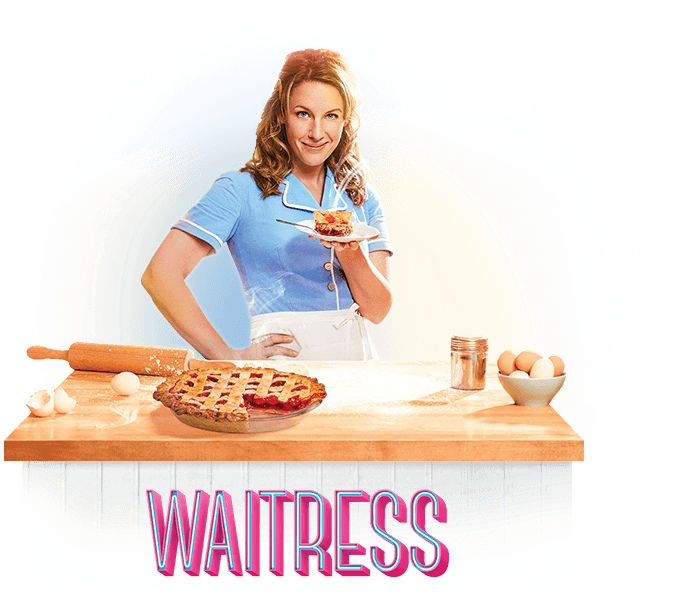 Premiering at the Adelphi Theatre later this year, Waitress: A new musical will open! Waitress is a musical which is based off the 2007 film starring Keri Russell. It follows the story of a young woman in a small town who has a talent for baking pies and yearns to enter a pie contest. Her plans are hindered by an unexpected pregnancy. The Adelphi Theatre's current West End Production announced the closure of smash hit; Dreamgirls; earlier this year. It was also announced that dreamgirls shall go on a UK Tour - so if you want to watch Dreamgirls, the UK tour would be your last chance until the foreseeable future where Dreamgirls might make a return. Anyway, back to waitress, the sole purpose of this article. The musical opened on Broadway in March 2016 with Jessie Mueller as the lead character. It went on to be nominated for four Tony Awards and six Drama Desk Awards, as well as a Grammy Award. The UK production will be the first West End musical to have an all-female creative team, with direction by Diane Paulus (Pippin) and choreography by Lorin Latarro (Les Liaisons Dangereuses). Bareilles said: "I cannot contain my excitement that we will be bringing Waitress to the West End!! This is a dream come true! And I must say, to be hosted in a theater co-owned by Andrew Lloyd Webber and the Nederlander Group makes this very sweet moment even sweeter. "We are so proud of this beautiful show, and can't wait to share the story of Jenna with a whole new audience and welcome them into the world of Waitress with open arms and plenty of pie." Casting for the West End production as well as full booking information for the show will be announced later this year.